Did you know that National Margarita Day is February 22? A margarita is a combination of sweet, salty, sour, bitter. When the cocktail is perfectly balanced, the libation is satisfying. Many restaurants will be serving margarita specials for the day. National options, like Bahama Breeze, will be serving $2.22 margaritas. This special is part of a 6 week Viva la 'Rita festivities. Through April 9, Bahama Breeze will host Margarita Mondays. Classic Margaritas will be just $5. 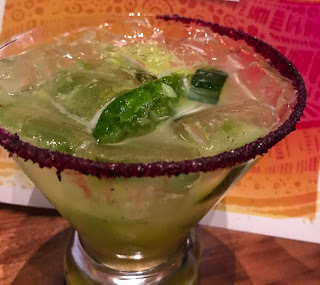 Or, if you're staying home for the celebration, here's a margarita recipe from Bahama Breeze that will make you re-think the classic, most common tequila cocktail. Rim margarita glass with pineapple sugar. Pour mixture into margarita glass filled with ice. Garnish with lime slices and a Hibiscus flower, if available.